With the film titled Kaashi, one primarily expects a bunch of situational tracks with some sort of thematic appeal. Multiple composers, lyricists and singers come together to create music for this Sharman Joshi starrer. Title track ‘Bam Bam Bole Kaashi’ comes right at the onset of the soundtrack with Daler Mehndi leading the charge. He is supported by Swati Sharma & Divya Kumar in this Shabbir Ahmed written number that is put to tune by Vipin Patwa. 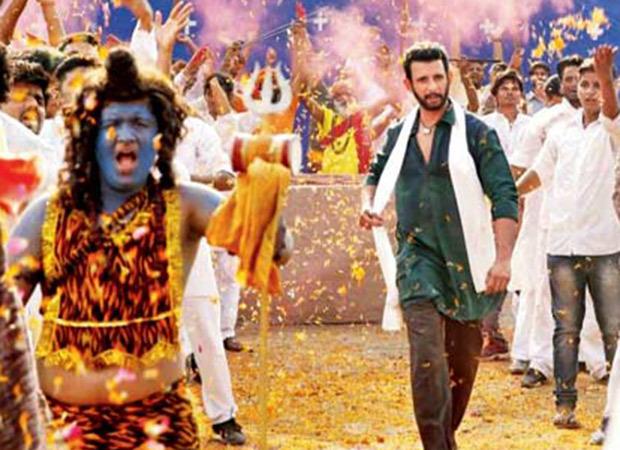 There is a bit of rap included as well which details ‘Kaashi ki holi’ but overall the song stays all around flat. Later there is a reprise version too by Aditya Dev & Vipin Patwa, and though it helps in the recall value, by and large there isn’t much that you take home. Next to arrive is ‘Tujhe Dhoond Raha Dil’ which is dull from the word ‘go’. A sad number that just doesn’t have any energy whatsoever, whether in terms of composition [Raj Ashoo], writing [Shabbir Ahmed] or most importantly singing [Yasser Desai], this is one of those tracks that deserves to go through a quick-skip. The sad mood continues with ‘Wo Rishta’ which is a BH Music Cafe composition with Abhendra Kumar Upadhyay as the lyricist. Yet another song that just doesn’t go anywhere right from the beginning, this one appears in a couple of versions. While first to arrive has Ankit Tiwari and Deepali Sathe coming together, the one which follows is a solo reprise version by Deepali. A forgettable track with no recall value whatsoever, ‘Wo Rishta’ is third song in succession which fails to work in Kaashi. For the first time in the album there is Western sound introduced through the song ‘Ranjha’. The beginning of this DJ Emenes composition reminds one of the kind of the start that the new version of ‘Dum Maro Dum’ had taken in the namesake film. In fact as ‘Ranjha’ progresses further, there are more and more similarities with the Deepika Padukone track, both by means of lyrics [Shbbir Ahmed] as well as rendition by Payal Dev and Neeraj Shridhar. The combination of BH Music Cafe and Abhendra Kumar Upadhyay is back with ‘Betahasha’. Considering the fact that Sonu Nigam and Palak Mucchal are coming together for the song, one has better expectations for something good to eventually come out of the soundtrack. Not that ‘Betahasha’ turns out to be a chartbuster in the making, but it can at least be heard through its duration. Overall, there isn’t much to extract musically from Kaashi. Forgettable.